For more than 20 years, the Corporate Law Attorneys at KALIS, KLEIMAN & WOLFE have helped business owners establish the right formation for their business, including family limited partnerships. Our focus is to protect our client’s rights and interests and to help avert and prepare for various legal issues that can arise when developing a business. A Family Limited Partnership (FLP) is a limited partnership where most of all of the partners are from the same family. FLPs must comply with state law and IRS requirements. FLPs are often used to shelter wealth from lawsuits and creditors and can be used to reduce gift and estate taxes. They often become a vital component of one’s estate plan. 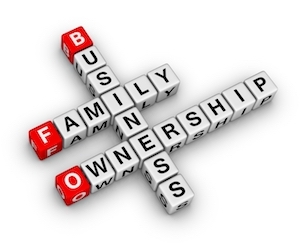 Family Limited Partnerships may also own real estate, marketable securities and other investment assets. However, homes, cottages, vehicles or other personal assets are not suitable for a FLP. FLPs also cannot be used solely to avoid taxes. A FLP must be a legitimate business entity operating to fulfill business purposes. Family members often make mistakes with or even abuse the rules of Family Limited Partnerships. It is very important to be careful that an FLP is properly established and operated; therefore, it is important to hire an experienced attorney to help you avoid being vulnerable to significant taxes and potential lawsuits. If you need help with starting, appraising, managing, or litigating a Family Limited Partnership matter, contact the experienced Corporate Law Attorneys at KALIS, KLEIMAN & WOLFE, the South Florida-based corporate and commercial litigation law firm today at (954) 791-0477.